→The Best Japanese Rice Cooker: Top Picks For Checking Out! 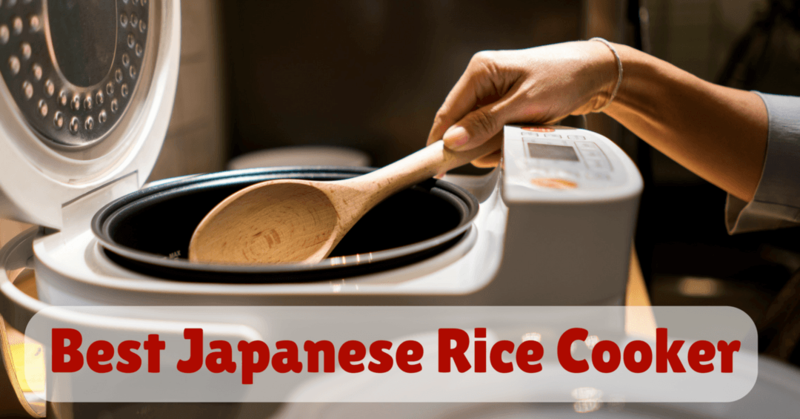 What Are The Different Types Of Japanese Rice Cooker? The Quest for the Best Japanese Rice Cooker: How to Choose the Right One? This type is the fast moving concerning stocks making it as the best seller in the market today. This one features all the functionality of the Fuzzy logic model. However, the heat might be strong, and so the whole pot would heat up in the inside. This type has the lowest cost among others, and so this one could be commonly used in most households. The features indicate the amount of water needed for the rice you will cook. It also features a cook, timer and warm function intended for automatic cooking. This is definitely an essential option to consider. And this type is the quickest option when it comes to cooking rice known to be the combination of the IH technology and pressure so gaining this reputation of being the most efficient among them all. But, expect this one to be the most expensive as well. 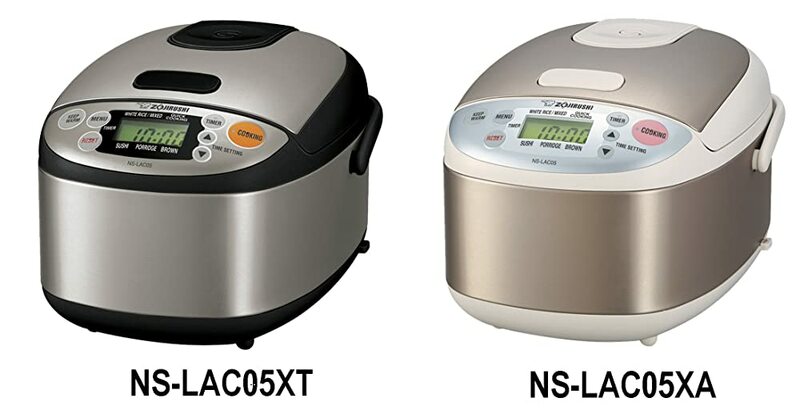 It is your decision whether which one from these types serve as the best Japanese rice cooker. First, there is an assurance of increased level of safety. According to experts, Japanese rice cookers are known to be the safest devices in the market today. And this is one of the benefits most people adore. As you will deal with an electronic appliance, it is crucial that it will not put your life at risk. So, safety is rest assured with the use of such rice cooker. Second, there will be no burned rice. For beginners, you are prone to failure or mistakes in the kitchen. In fact, you could sometimes burn the rice. Yes, let’s say it isn’t your fault, the use of Japanese rice cooker will help you avoid such case. As you put the rice inside the rice cooker, the sensor will cook the rice perfectly. Once it is done and ready, it will stop. So, this could erase the idea of burned rice. Third, it helps in establishing perfect proportion between water and rice. For some, cooking rice isn’t that simple at all. It could be very challenging to set the right balance of water and rice. However, with a Japanese rice cooker, this isn’t a big deal at all. The said cooker highlighted the lines indicating the needed proportions as you cook rice. In fact, they come with a recipe book wherein you might discover the right proportions for the dish that you want to cook. Fourth, you have the power to schedule the cooking time. Are you among those busy people out there? If yes, you can still provide healthy recipes to your family. It can let you schedule the cooking. So, all you need to do is to add the ingredients first then set the timer. If the time is off, it will begin cooking. And this means that the recipe is ready right at the time you need it. Fifth, you could always keep the food warm. What if you’ve finished cooking a lot earlier than you expected? Would you take the risk of serving a cold food? With Japanese rice cooker, this isn’t a problem at all as it offers unique function keeping the food warm as long as you want to. Therefore, there is no need to worry about warming the food again due to cooking it a lot earlier. Warm meals could always be enjoyed whenever you want.There you have it! 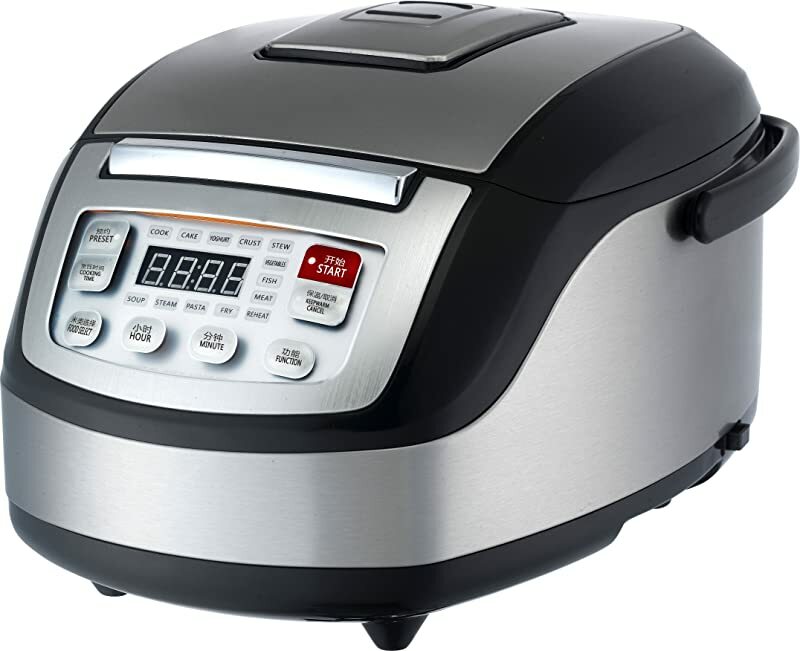 The benefits you will experience if you will prefer the use of the best Japanese rice cooker. 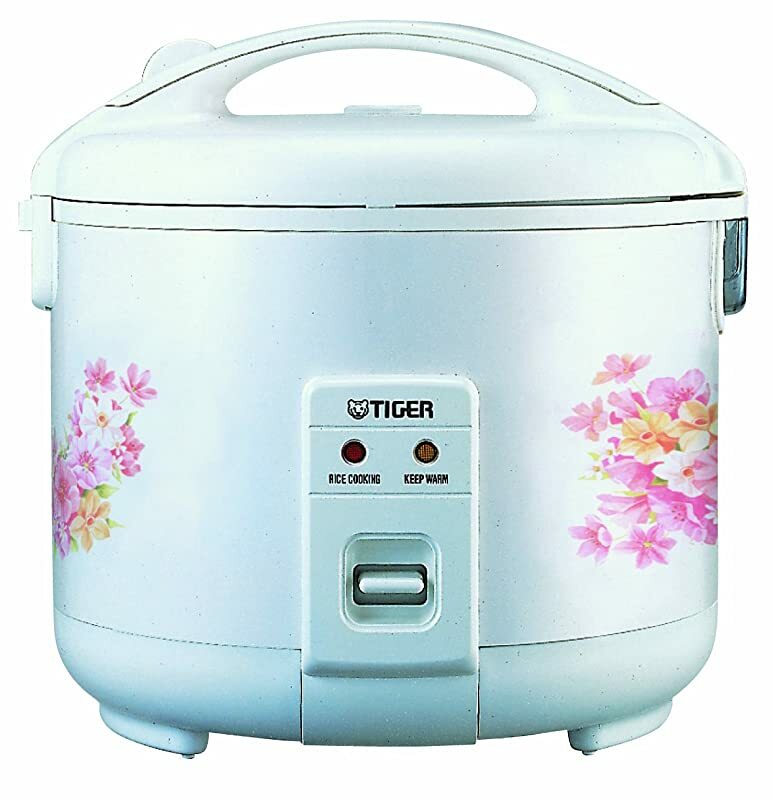 Knowing its popularity, the market is now full of this kind of ﻿rice cooker. Generally speaking, Japanese rice cookers are all great, but certain aspects should be considered to determine the best among the best. The moment you prefer the use of rice cooker, think of the quantity of rice you are going to cook. So, it is essential to know that rice cookers don’t measure the rice in grams rather in cups. It is advised that you use the said device at its near full capacity. And this is the reason why you need to choose a rice cooker with a capacity that fits your needs. A small one might have a size of 3 to 4 cups, or the bigger one has a capacity of 10 cups. Well, this function is definitely excellent. It could make the rice cooker think like you in terms of cooking rice. Let’s say you cook rice on a cold day and there is a fact that it cooks more slowly. With that, there is a need to increase the temperature. And so, the fuzzy logic function will exactly do the same. Also, the fuzzy logic helps in establishing the rice consistency. This might be a bit difficult for some humans so that the rice cooker will go beyond the human senses, therefore, succeeds in providing best rice as a result. In most cases, there are three designs for a rice cooker. They are the egg-shaped, cool-touch style and the pot style. For beginners, the pot style version is the ideal choice. As this is based on the design of Japanese. It has the inner pot right in the body, and it is removable. It also features a removable lid. Next is the cool touch rice cooker which manages in keeping injuries at a very low rate. The exterior will stay cool at all times. You might prepare the most delicious rice since the lid locks while cooking. And the inner lid is as well removable. For a more modern design, you can consider the egg-shaped rice cookers with digital display in front of the machine. And this design is often found in most restaurants. Most modern rice cookers do have a nonstick pan making it a perfect choice since you could clean it a lot faster. Some other rice cookers would come with different utensils. You might find some steamer baskets and plastic spoons in the package. Indeed, they could be perfect in steaming vegetables while cooking rice. Put on top, this one is the best choice ever to consider. Almost everything is offered by this product from versatility to durability and even competitive price. So, would you still look for other option? There are great features offered by this Japanese rice cooker. It is so easy to use, removable lid and retractable cord. It also features delay and warm settings. Though you can cook brown rice or sushi here, this rice cooker isn’t an excellent choice for big families. For a simple, easy to use and basic rice cooker, this one is the right choice that’s why I included it on the list. 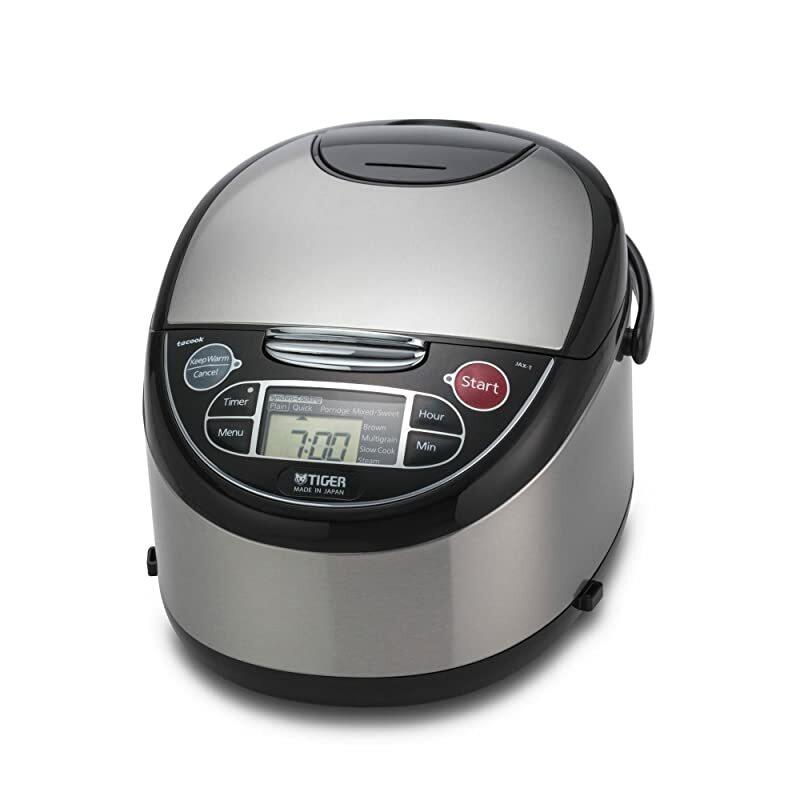 The capacity of this rice cooker is 10 cups making it perfect for large families or groups. Because of its ability, the device is quite big but offers great design. It has nonstick inner pan allowing you not to worry about getting the rice glued to the bottom. Things are so simple with the use of this rice cooker. But, this one doesn’t have settings for different kinds of rice and the heater isn’t induction as well. You will also love this product not just because of its features but for its price too. Perfect for small family, this one is a very compact Japanese rice cooker. It features one-step automatic cooking and an amazing experience because of the see-through glass lid. Besides, it has non-stick aluminum pan playing a crucial role since you will clean it within a couple of minutes. Nevertheless, it lacks the steaming attachment along with being able to handle small capacity. Its stainless steel exterior is the main reason why this product deserves a spot here. Why? Well, only because this means that the rice cooker is durable. Also, this Japanese rice cooker offers a unique shape along with easy functions that make the cooking delightful and exciting. It also has 4-in1 functions together with ten cooking settings. Indeed, everything is computerized here. It also features removable inner pan and lid for easy cleaning. You could also cook two different dishes at a time and flavors wouldn’t interfere with one another. Only that, this rice cooker comes with only a setting for slow cooking. Though on the last spot, this one is an authentic rice cooker made in Japan with 13 pre-set options. You might use this to cook different foods of your choice. Along with that, this asian rice cooker also features delay cooking function so you could set the timer for the time you want to make the food. There is actually nothing to worry about. Keeping the food warm is also possible with this device. You can also see the cooking status of the recipe on the screen. It is so easy to clean because of the nonstick material of the inner pot. It is also durable and efficient due to the fuzzy logic function. But this doesn’t include cooking book, and no extra accessories included too. 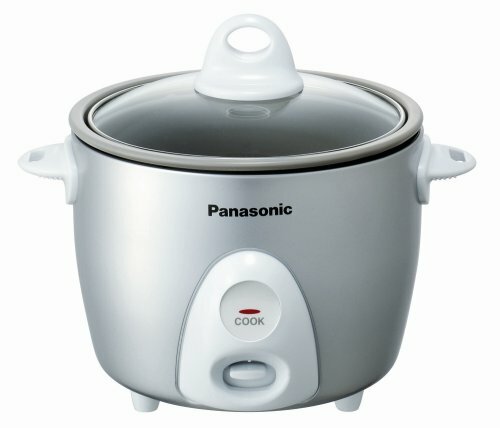 So, which is the best Japanese rice cooker from the products mentioned? Obviously, it is the Zojirushi NS-LAC05XT Micom 3-Cup Rice Cooker and Warmer. Simply said, it has everything you might be looking for. This pick will suit your daily cooking needs and might exceed your expectations as well. 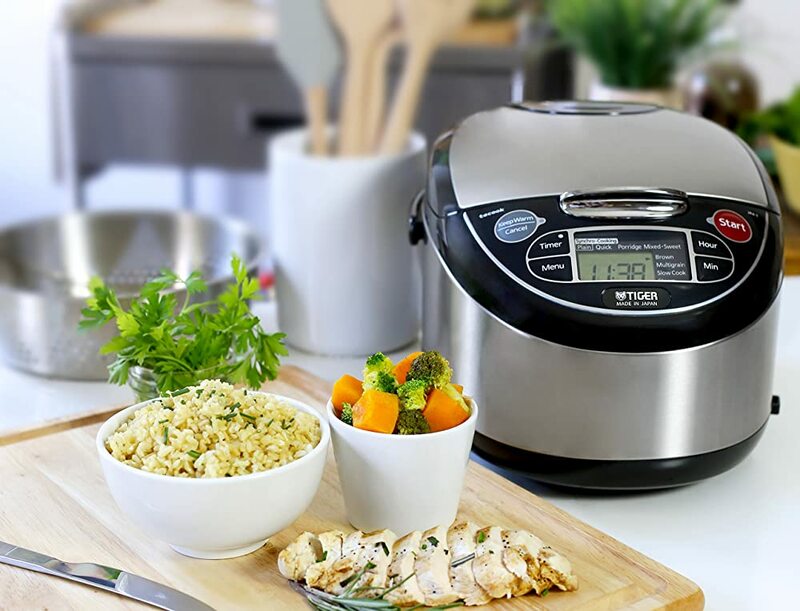 So, why choose other rice cookers when you can have it all in one device. But still, trust me, all the above-mentioned products could be your great options once being confused from wide options in the market. 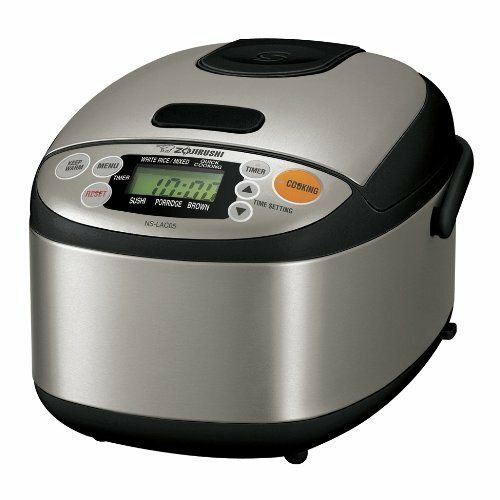 You only need to bear in mind the benefits and factors once shopping for the best Japanese rice cooker. By the way, you can watch this to learn how to use a Japanese rice cooker. Share this review to your friends and family and leave any suggestions or comments below!